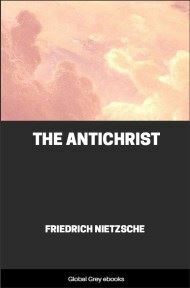 The Antichrist is a book by the philosopher Friedrich Nietzsche, originally published in 1895. Although it was written in 1888, its controversial content caused its publication to be delayed. The reference to the Antichrist is not intended to refer to the biblical Antichrist but is rather an attack on the "slave morality" and apathy of Western Christianity. 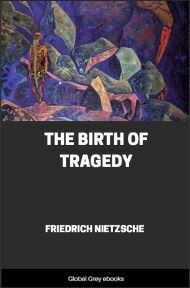 Nietzsche's basic claim is that Christianity (as he saw it in the West) is a poisoner of western culture and perversion of the words of and practice of Jesus. 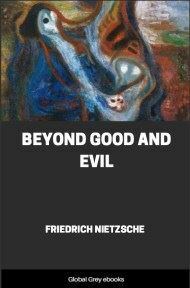 In this light, the provocative title is mainly expressing Nietzsche's animus toward Christianity, as such. 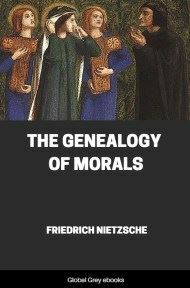 In this book, Nietzsche is very critical of institutionalized religion and its priest class, from which he himself was descended. The majority of the book is a systematic, logical and detailed attack upon the interpretations of Christ's words by St. Paul and those who followed him. Let us look each other in the face. We are Hyperboreans—we know well enough how remote our place is. "Neither by land nor by water will you find the road to the Hyperboreans": even Pindar, in his day, knew that much about us. Beyond the North, beyond the ice, beyond death—our life, our happiness…. We have discovered that happiness; we know the way; we got our knowledge of it from thousands of years in the labyrinth. Who else has found it?—The man of today?—"I don't know either the way out or the way in; I am whatever doesn't know either the way out or the way in"—so sighs the man of today…. This is the sort of modernity that made us ill,—we sickened on lazy peace, cowardly compromise, the whole virtuous dirtiness of the modern Yea and Nay. This tolerance and largeur of the heart that "forgives" everything because it "understands" everything is a sirocco to us. Rather live amid the ice than among modern virtues and other such south–winds!…We were brave enough; we spared neither ourselves nor others; but we were a long time finding out where to direct our courage. We grew dismal; they called us fatalists. Our fate—it was the fulness, the tension, the storing up of powers. We thirsted for the lightnings and great deeds; we kept as far as possible from the happiness of the weakling, from "resignation"…There was thunder in our air; nature, as we embodied it, became overcast—for we had not yet found the way. The formula of our happiness: a Yea, a Nay, a straight line, a goal…. What is good?—Whatever augments the feeling of power, the will to power, power itself, in man. What is evil?—Whatever springs from weakness. What is happiness?—The feeling that power increases—that resistance is overcome. What is more harmful than any vice?—Practical sympathy for the botched and the weak—Christianity…. 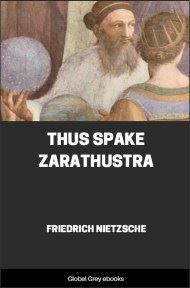 The problem that I set here is not what shall replace mankind in the order of living creatures (—man is an end—): but what type of man must be bred, must be willed, as being the most valuable, the most worthy of life, the most secure guarantee of the future. This more valuable type has appeared often enough in the past: but always as a happy accident, as an exception, never as deliberately willed. Very often it has been precisely the most feared; hitherto it has been almost the terror of terrors;—and out of that terror the contrary type has been willed, cultivated and attained: the domestic animal, the herd animal, the sick brute–man—the Christian…. We should not deck out and embellish Christianity: it has waged a war to the death against this higher type of man, it has put all the deepest instincts of this type under its ban, it has developed its concept of evil, of the Evil One himself, out of these instincts—the strong man as the typical reprobate, the "outcast among men." Christianity has taken the part of all the weak, the low, the botched; it has made an ideal out of antagonism to all the self–preservative instincts of sound life; it has corrupted even the faculties of those natures that are intellectually most vigorous, by representing the highest intellectual values as sinful, as misleading, as full of temptation. The most lamentable example: the corruption of Pascal, who believed that his intellect had been destroyed by original sin, whereas it was actually destroyed by Christianity! It is a painful and tragic spectacle that rises before me: I have drawn back the curtain from the rottenness of man. This word, in my mouth, is at least free from one suspicion: that it involves a moral accusation against humanity. 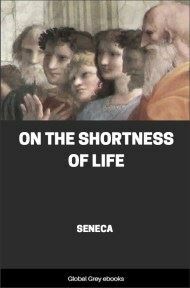 It is used—and I wish to emphasize the fact again—without any moral significance: and this is so far true that the rottenness I speak of is most apparent to me precisely in those quarters where there has been most aspiration, hitherto, toward "virtue" and "godliness." 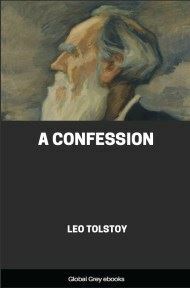 As you probably surmise, I understand rottenness in the sense of décadence: my argument is that all the values on which mankind now fixes its highest aspirations are décadence–values.